Finding a historical player to write about as a throwback for the Winnipeg Jets turned out to be a little trickier than I thought it would be. You see, I knew of some players who played in the 80’s and 90’s with the Winnipeg Jets – great stories that I really want to share on these pages – but that incarnation of the Winnipeg Jets moved to Arizona and became the Coyotes. So do I write a throwback post from someone who played for a completely different franchise? I could have – and I’m sure none of you would have really complained, but in an effort to pay tribute to the new Jets franchise, I decided to pick someone who never played a home game in Winnipeg. 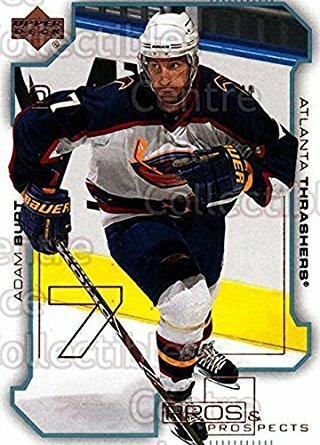 I chose to share the story of former Atlanta Thrashers (now the Winnipeg Jets) defenseman Adam Burt. Burt was a second round draft pick by the Hartford Whalers in the 1987 draft. 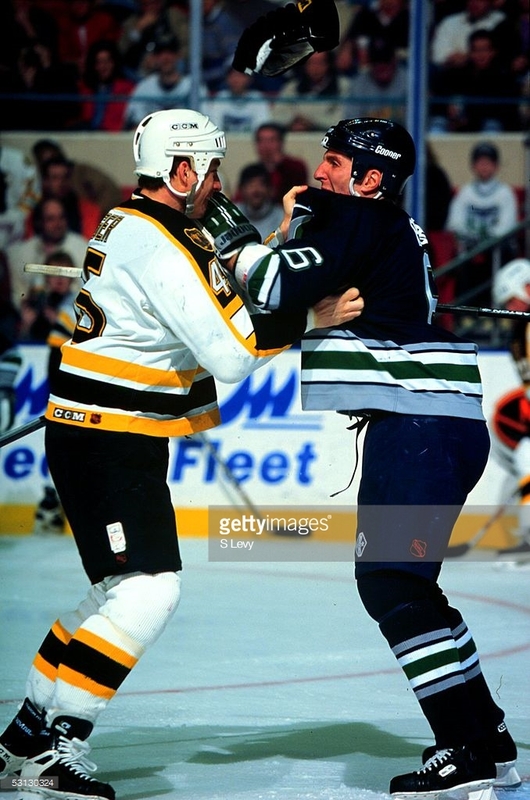 He played with with the Whalers for 10 seasons and then moved with the team to Carolina where he played 2 more years for the franchise as a Hurricane. He was traded to the Philadelphia Flyers in 1999 and spent the rest of that season plus one more in Philly. He signed as a free agent with the Thrashers for the 2000-01 season which would be his last season in the NHL. He battled a couple of injuries and only played 27 games for Atlanta. He only played in 27 games with the franchise, but Burt used his time in Atlanta to help lead team Bible studies. Burt (on right) didn’t often back down from a fight. Now, he encourages people to stand up for their beliefs and be willing to fight for what’s right. His voice continues to be strong telling others about the difference Jesus can make in their life – as a pastor, a chaplain and a blogger. From the post I reference earlier, he talks about some of the fights he was in in his career and shares spiritual takeaways from them. He challenges his readers to “Show Up, Get Up and Gang Up“. My takeaway echo the thoughts he shared. 1- Show up – David was a young shepherd boy. He had the courage to stand before Goliath. He dropped the giant and inspired a nation. Stephen, the church’s first martyr had the courage to stand before an angry mob opposing the gospel and though he lost his life…God is searching for those that will take a stand for Him in the earth. How important is God to you? Are you willing to claim Him as the most important part of your life? What if that brings ridicule, danger or persecution. Are you still ready to show up for His purposes? 2- Get Up – There will be times in the Christian life when we fail, fall short or just get worked! How will you respond? Jesus, our example, and hero took deaths knockout blow on the cross. But because HE got up, we now have the power to get up to. When you sin, repent, and get back up and into the fight of faith. Philippians 4.13 says that “we can do ALL things in Christ who strengthens us “(emphasis mine) That means He is our strength. When things are hard, when we fail, when we are beaten up by life, He is our strength and with Him, we are not at our end. We can stand in His strength and keep fighting. Burt now works as a pastor and volunteers as a New York Jets team chaplain. 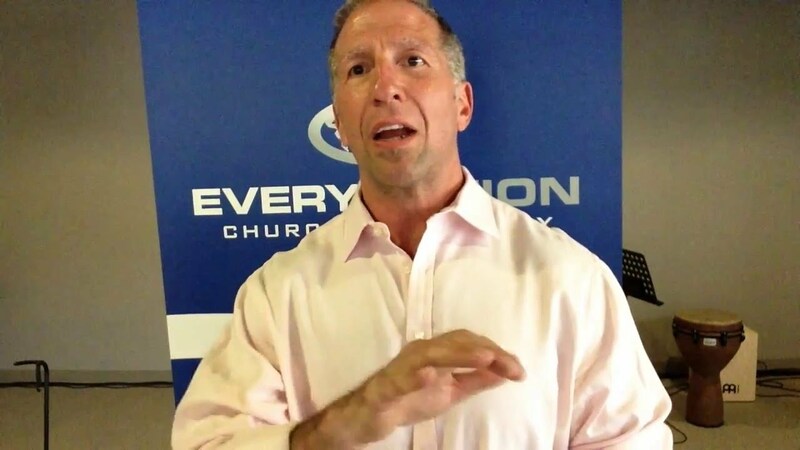 3- Gang Up– You don’t need to FIGHT FAIR in the fight of faith!! If you are getting ‘worked’ in your spiritual life, losing to sin over and over again, GANG UP ON IT!! Call in some other believers to gang up on sin! Ask them to believe with you, to pray with you, and to encourage you. We are better together! We are in this together. We lean on God for strength, and sometimes, God shows up in other people who love Him and are willing to join with us in the face of whatever we are struggling against. Share your hard things with others – do not hide. And be there to love and support others that are going through their own mess. That is what God calls us to.